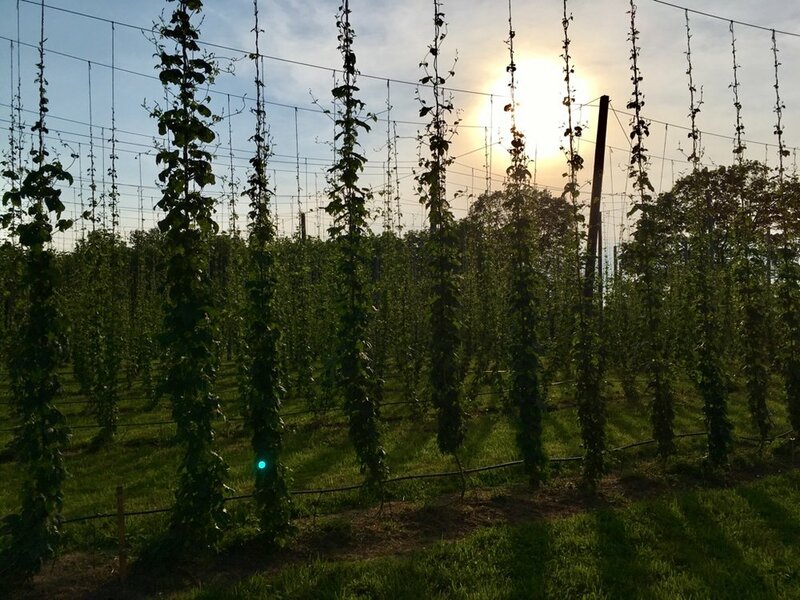 Sky High Hops is a family owned and operated hop yard located at Sage Hill Farm in Flemington, NJ. 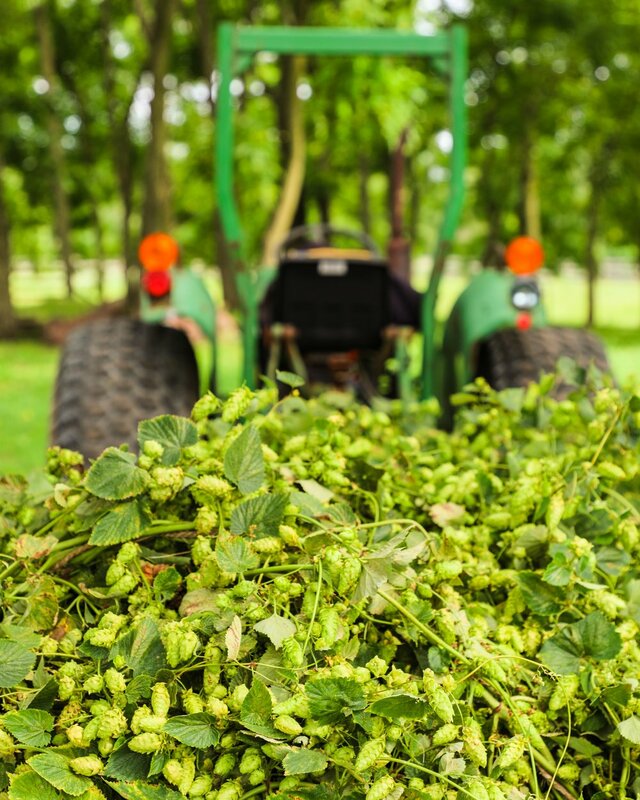 We supply fresh hops to breweries, cideries, distilleries, and homebrewers looking for a sustainably grown, one-of-a-kind, premium quality product. 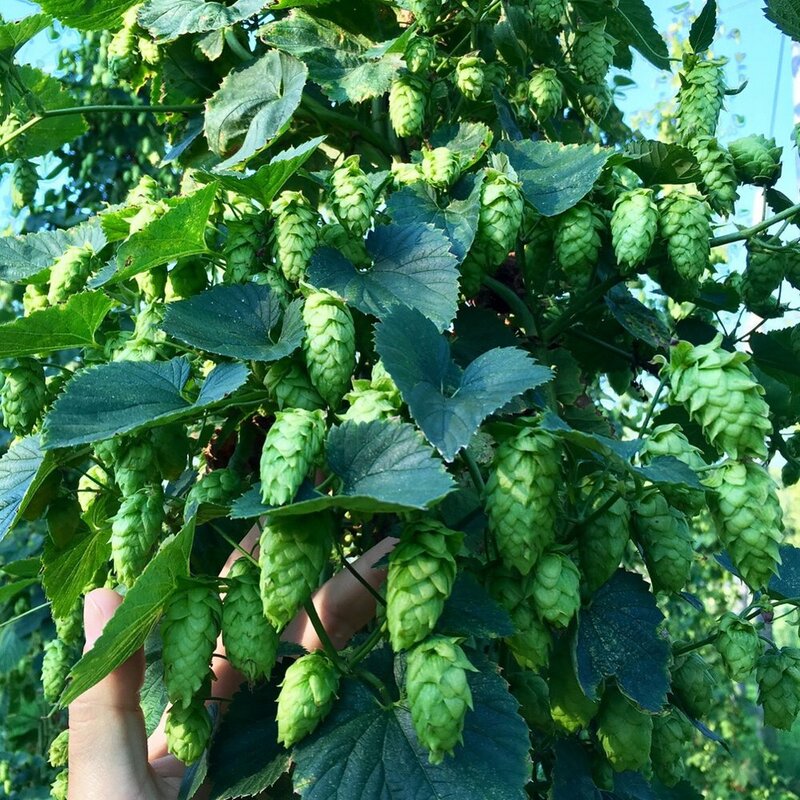 Our hop yard consists of approximately 700 plants of several varieties in their third growing season. We are very passionate people at Sky High and we understand the importance of humble beginnings. We take time every day to treat each plant with love and care and groom our yard meticulously to ensure our plants grow healthy and strong. As our plants grow, we will too, but we promise to stay true to our roots. No matter where life takes us, we will always remember where we came from. Our team's collective passion and dedication will never fade. Vacuum sealed package of Cascade hop pellets labeled with the Jersey Fresh seal of approval. 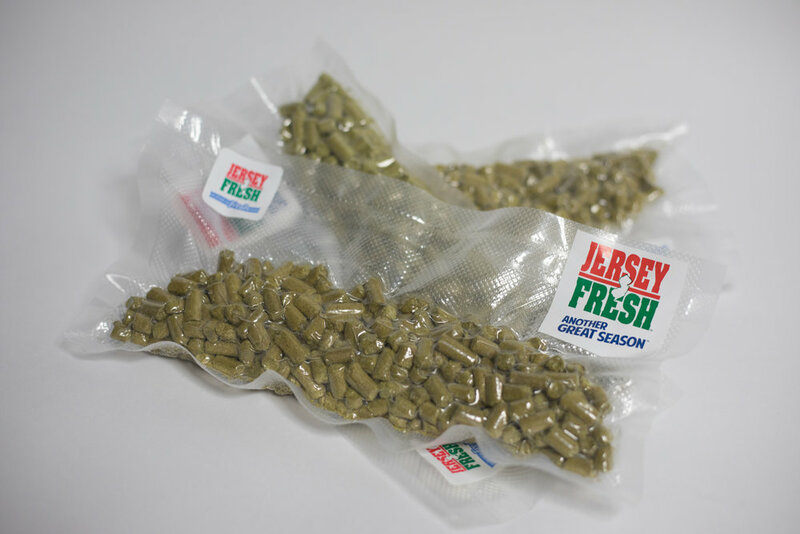 The Jersey Fresh Quality Grading Program (JFQGP) of the New Jersey Division of Agriculture (NJDA) was created in 1985 as a method of connecting consumers with New Jersey grown commodities by providing marketing advantages to farmers who cultivate the highest quality products. The program boasts a guarantee that any product labeled with the Jersey Fresh logo meets or exceeds US No. 1 standards. We at Sky High Hops are proud to be the first and only hop yard in the program. A great crop starts with the right soil. For months leading up to planting, we strategically prepared our soil for its first growing season. We turned composted organic horse manure sourced directly from our outdoor pastures into the rows to enrich the soil. As we approached our projected planting date, we tested the soil and applied additional fertilizer accordingly. Our soil pH naturally landed within perfect conditions for hops and did not require any adjustment. 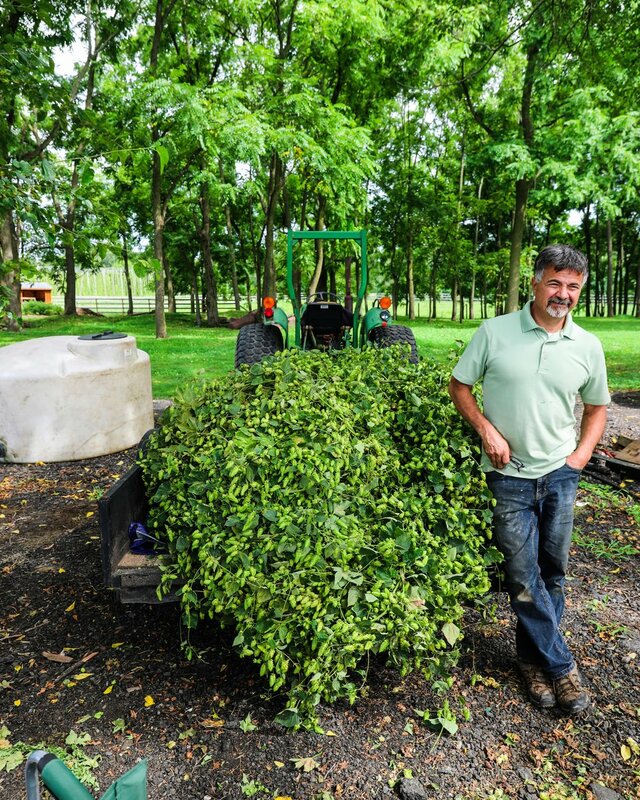 Our yard receives several offseason applications of our farm-sourced composted organic horse manure for nutrient and microbe replenishment. 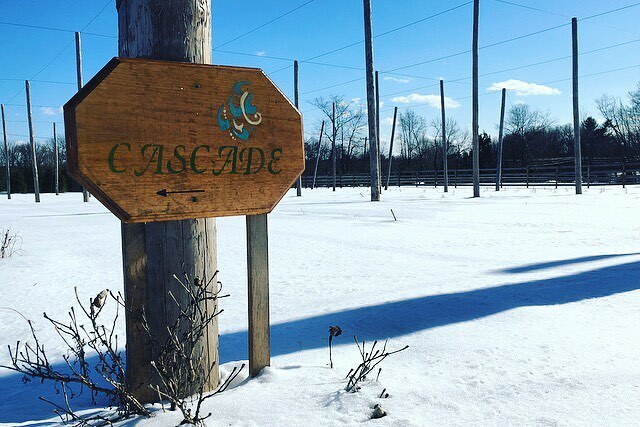 Our hop yard receives maximum exposure to sunlight. The trajectory of the sun during the late spring and summer passes directly overhead and is unimpeded by trees or facilities. 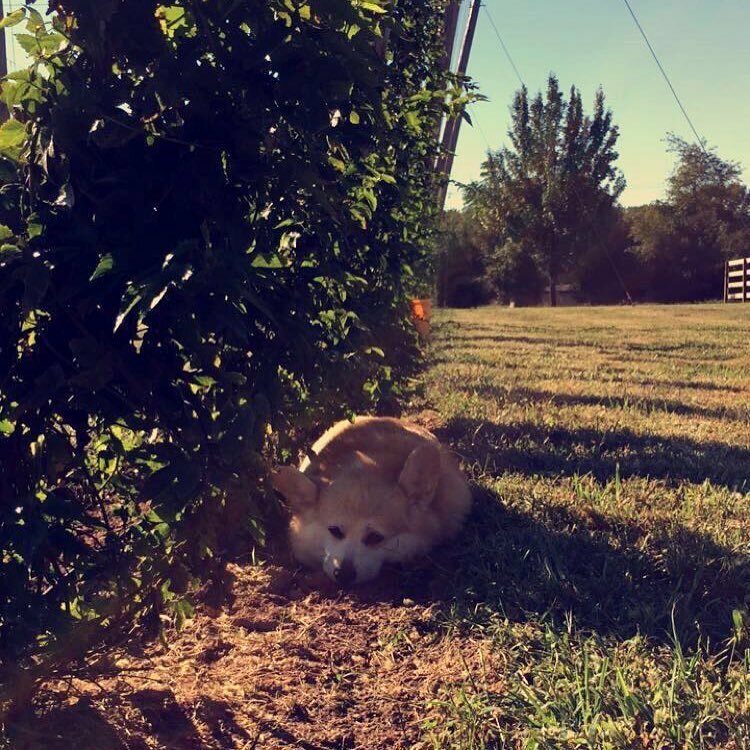 Our yard is perfectly equipped to prevent plant disease because of our soil drainage efficiency, exposure to sunlight, and air flow. Our drip irrigation system is directly connected to our main waterline. The system is adjusted daily to account for weather conditions, ensuring our plants receive the perfect amount of water. Our water is drawn directly from the underlying bedrock aquifer 250+ feet below ground surface, giving us a nutrient rich, virtually untouched water supply. As the plants mature, they require more nutrients. Our fertigation system allows us to evenly distribute fertilizer with pinpoint accuracy. We closely monitor field conditions and test our soil several times per year to determine if any adjustments are necessary. Making sure plants receive the right amount of food and water is crucial for growth and development. We at Sky High have instituted an Integrated Pest Management (IPM) program to eliminate any threats to the well being of our plants. IPM processes effectively maintain an environmentally sensitive approach while also remaining economically sustainable and health conscious. For our first harvest, we determined it was in the best interest of our plants to hand pick directly from the bines. Hand picking provides a more consistent product and promotes increased second year plant growth. For our second harvest, our plants were way too big and had too many cones to pick by hand. 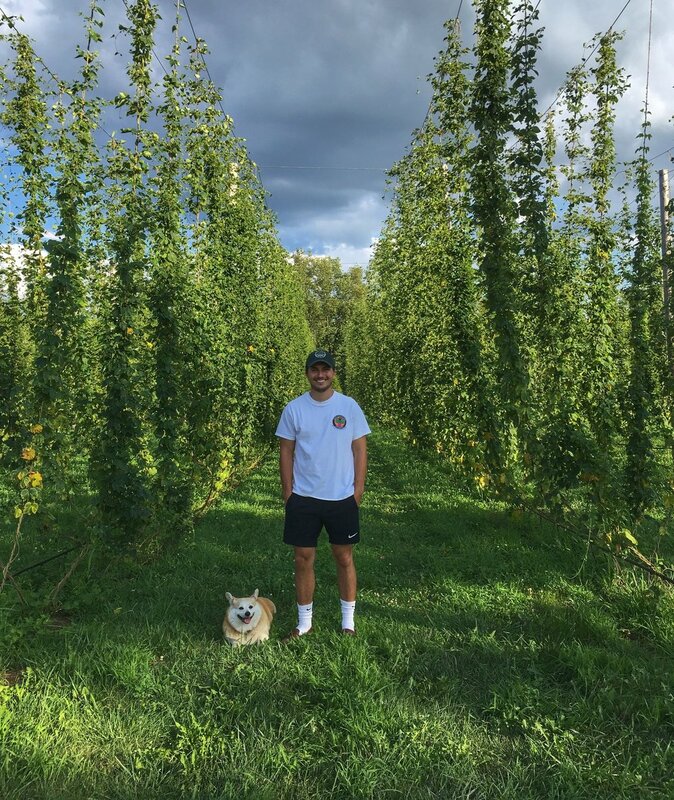 In anticipation of that, we constructed a new and improved oast with larger, more precise drying capabilities as well as a custom mechanical harvester. Hops that are not sold wet (fresh off the bine) are dried to the brewer-preferred state using our personalized oast. Drying gives us the option to store our hops for months after harvest. Available as whole leaf or pellets. For wet hops, please contact us well before harvest! Flowery, spicy, citrus-y with hints of grapefruit contributing to both aroma and flavor. A crucial element in American style pale ales and IPAs. Cascade makes a great addition to porters, barley wines and witbier too! Full bodied citrus flavor and aroma make this variety the perfect companion for your ale of choice, IPA, or classic wheat beer. Fresh pine flavor and aroma with subtle fruitiness. High alphas make this hop perfect for American ales. We are now taking orders for 2018! Call (908) 303-7507 or email anthony@skyhighhops.com for more information. Let us know if you intend to use our hops for a non-beer related product, we are very interested!